RVA offers this two-bedroom, two-bath unit featuring partial Gulf views with a private walkway that leads directly to the beach or pool, whatever your sunbathing preferences! This unit is nicely situated, with views of both the Gulf of Mexico and community pool area. Sit back and relax on your private patio enjoying your favorite morning beverage and soak in the Florida breezes. Beachplace Condominium Complex includes a large community pool and hot tub area, private beach access, and Internet access at the clubhouse. Dining: Longboat Key’s restaurants boast cuisine and ambiance befitting heads of state. However, visitors seeking flip-flop friendly eateries will take comfort in the key’s cafes, diners and ethnic restaurants. Longboat Key restaurants include The Dry Dock Waterfront Grill (1 mile), Blue Dolphin Café (5.5 miles), Euphemia Haye Restaurant (5.7 miles), Harry’s Continental Kitchen (5.8 miles) or MarVista Backside Restaurant and Pub (8.3 miles). Local Attractions: Although Longboat Key is a locale that prizes its tranquil nights and lazy beach days, it also offers lively vacationers plenty of chances to stir things up with attractions and activities for all age groups. Some of our attractions include: Mote Aquarium (1.9 miles), St. Armand’s Circle (2.9 miles), Marie Selby Botanical Gardens (6 miles) Van Wezel Performing Arts Hall (6 miles) or John and Mable Ringling Museum Complex (9 miles). While I loved the location and walk-up, this condo is badly in need of updating. It appears that there have been no changes since the condo was built. Original cabinetry, countertops, appliances, fixtures, faucets, flooring, and decor. I was hoping it would have more of a "beachy" feel, but the heavy draperies and oversized furniture made it look more like a northern home. That said, it was clean and affordable. Love Beachplace!!! 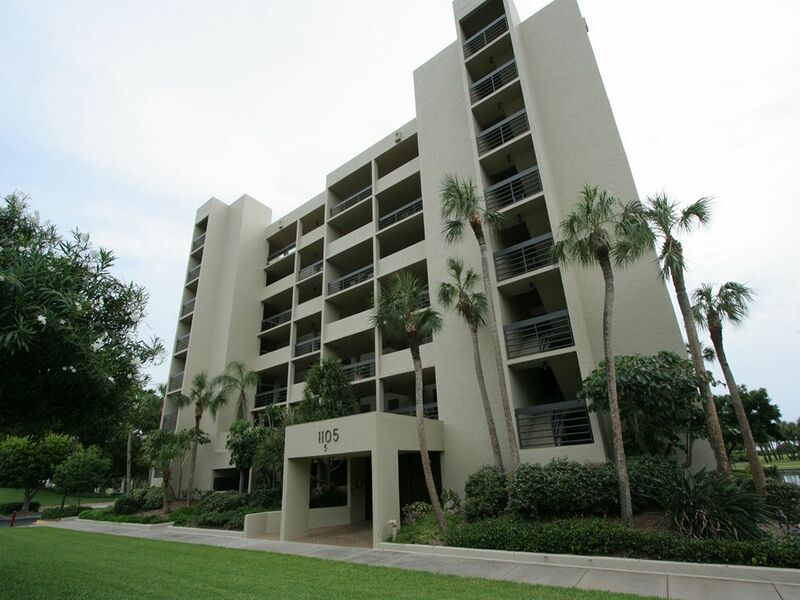 The property, Beachplace, is excellent and we had a very good time meeting friendly people. If you mean the condominium itself, it was only adequate. It had not been updated in many years. The ice trays in the refrigerator were old, the single landline had a broken jack that had to be held in place, the kitchen was lacking in some areas. The dining table was scarred and some furniture have seen better days. On the plus side, the bed was very comfortable, there was an abundance of towels, hangers, and pool items. RVA was very responsive. RVA and it's affiliated companies thank this guest for their constructive comments; we will pass them along to the homeowner as suggested updates. Our goal is always to provide an exceptional vacation experience and we hope this guest will consider us again in their future vacation plans.